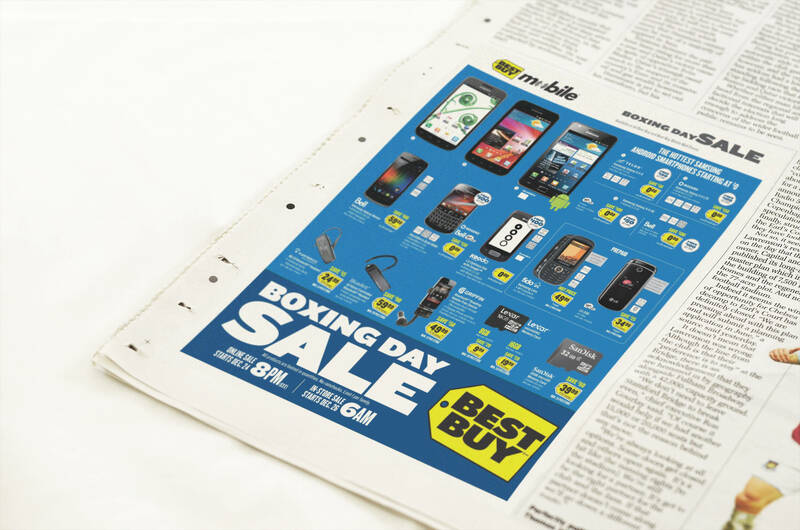 Best Buy Canada is one of the largest electronics store chains in Canada. In 2001, Best Buy purchased big-box retailer Future Shop and then entered the Canadian market a year later with 8 stores in Ontario. The company has gained a lot of traction within the market over the years and has grown across Canada with close to 200 locations. 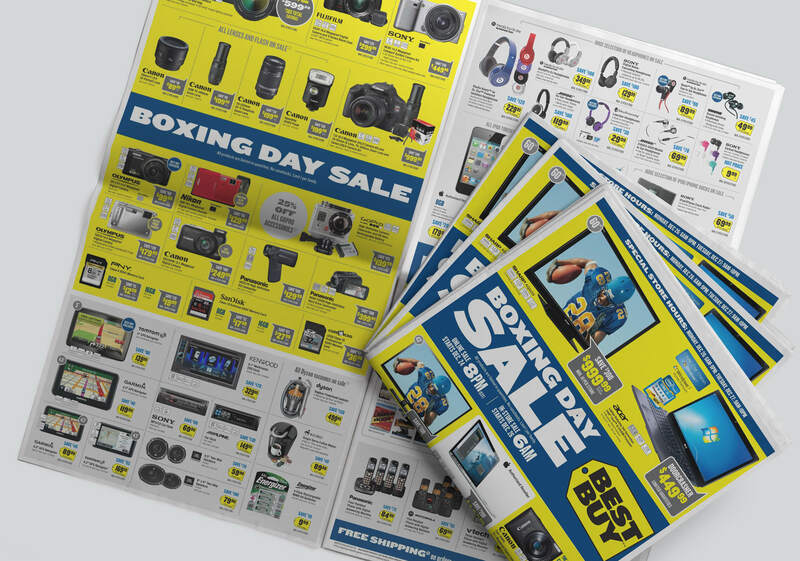 Best Buy Canada Headquarters is located in beautiful British Columbia near Vancouver. Best Buy hired me as a contractor (4 months) in a support role to help out with design. In a jack-of-all-trades role, I was able to dabble a little on the website, weekly flyers, marketing promo materials and iconography during their busiest quarter of the year. 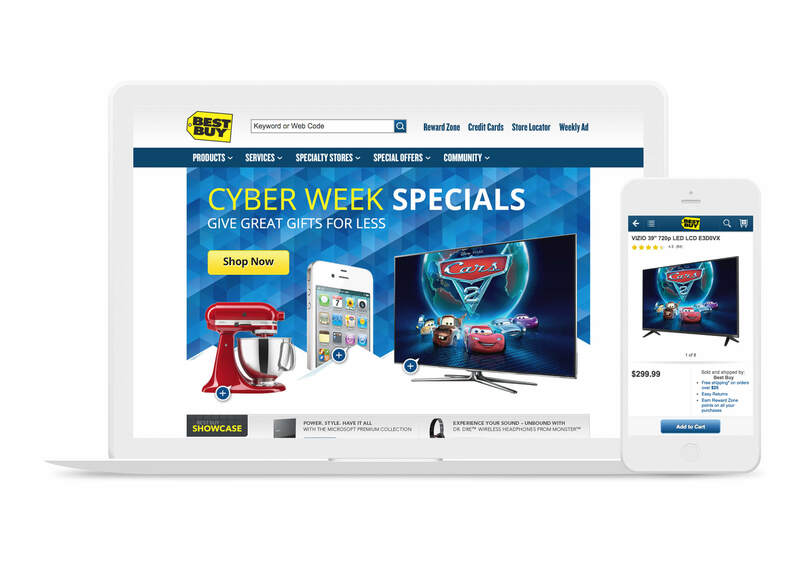 Every week, like clock work, Best Buy releases a weekly flyer by mail. The same flyer can be viewed on their website or mobile IOS app. There are a lot of moving parts in getting a flyer out the door, from collecting all the promos, creating the graphics, collecting price charts and translating the flyer into French (for distribution in Quebec). My primary task for the flyer was to create the lead page and secondary promo graphics. For web, I had the chance to create the landing page for the newly released iPhone 4S from Apple. Working within Apple’s guidelines, I put together a landing page with the key features of the new phone. The page received a lot of views as it had a predominant off link from the homepage. Cyber Monday and Boxing Day also saw a storm of promos come in which all had to be created with a unique and distinguished look.